When I think of travel, I imagine exotic places or renowned museums filled with wonders. I forget that Los Angeles is right here and a destination in itself. 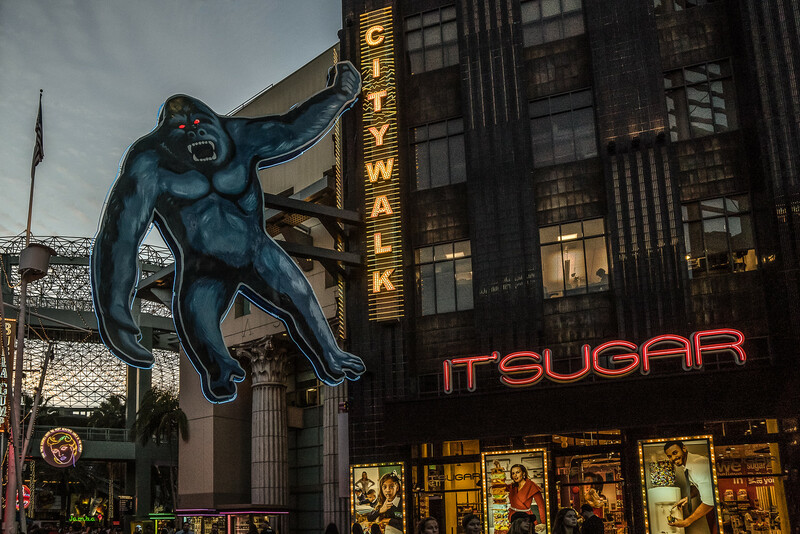 I also forget that people travel for miles to visit Southern California theme parks, like Universal Studios Hollywood. A few days ago my family and I made up for lost time by spending the day at Universal. What fun! 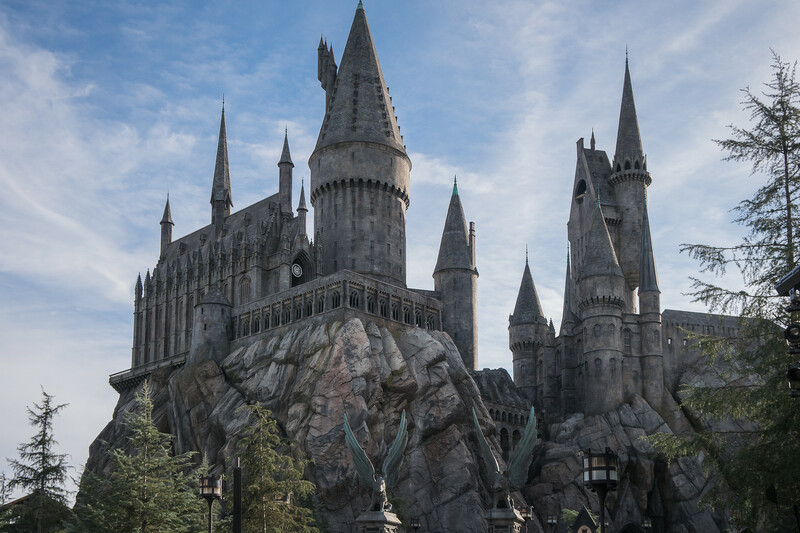 After traveling in Scotland and writing about it for several weeks, I found it something of a jolt to visit the Wizarding World of Harry Potter. I couldn’t help but compare the two. At the same time, I was well aware that the visitors to the theme park weren’t seeking Scotland but a magical place…Hogwarts. We were lucky; the wait time for Harry Potter and the Forbidden Journey was only fifty minutes. We weren’t the only people interested in J. K. Rowling’s fantasy. Many people were in robes. 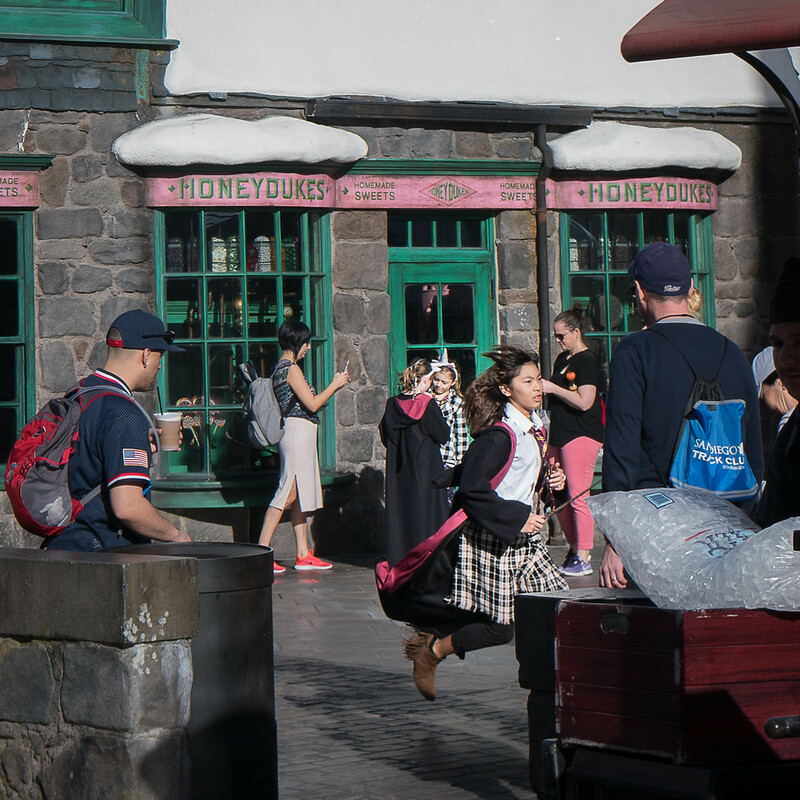 Rushing through Hogsmeade as though late for class! The Forbidden Journey ride was awesome. I didn’t take my camera with me. We were encouraged to stow all gear in a locker. Regretfully, I complied. 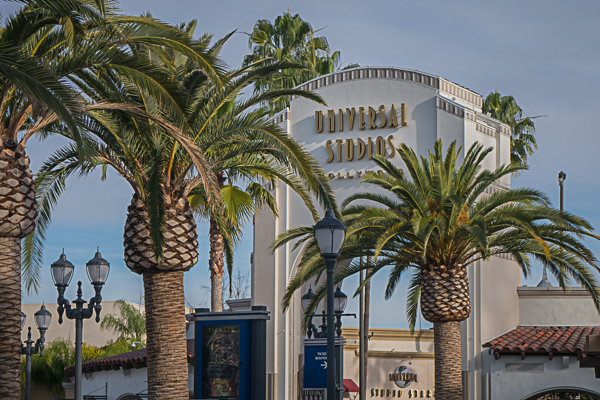 Universal Studios isn’t all Harry Potter, although we did spend most of the morning there. 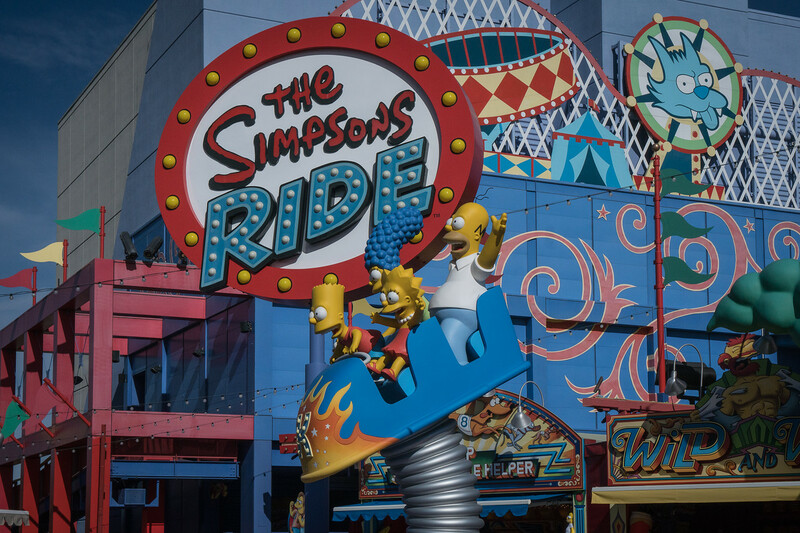 Our next stop was the Simpsons ride. Don’t tell anyone, but this was my first experience with these TV characters. I lead a sheltered life. I may be out of touch with some things, but the Studio Tour tram ride hasn’t changed completely during the passing decades. Once again the wait was short to board the tram. It obviously is a good idea to go in early January. 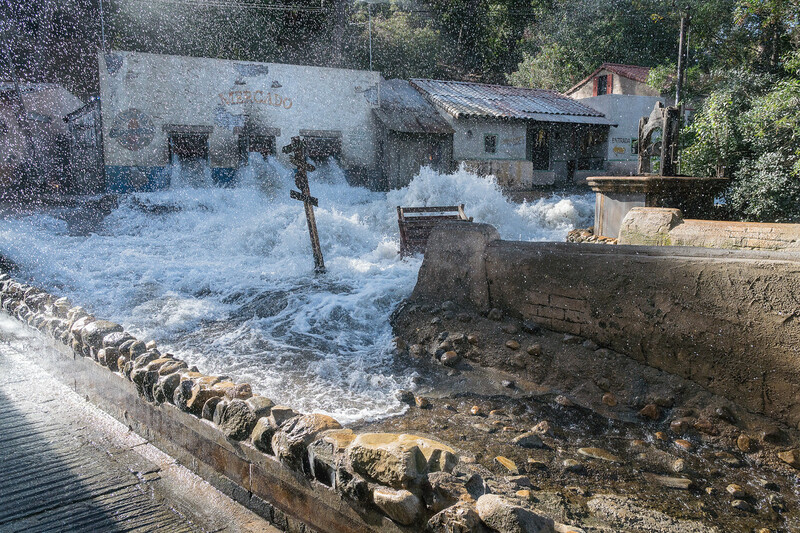 Some of the attractions have been upgraded but the tour still includes a ride around the studios and through the backlots. 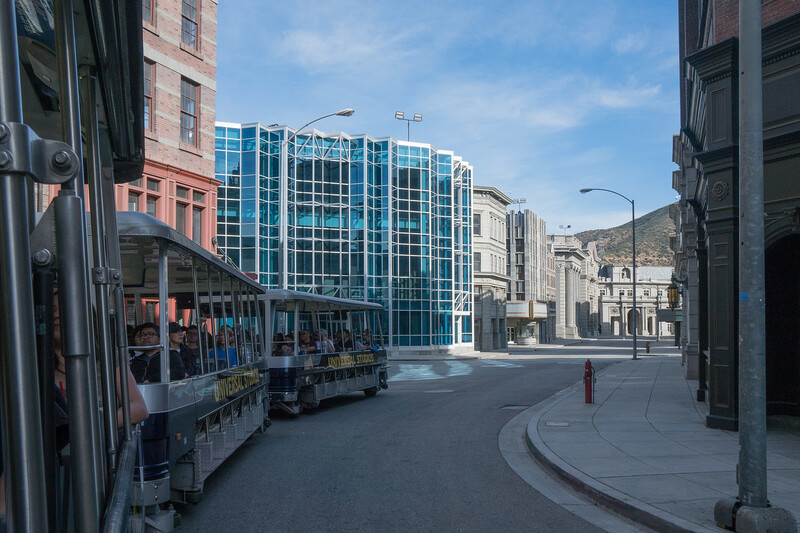 Looking back at the end of our tram as we tour the backlot city scene. The buildings appeared real, but the hillside in the background shouts Southern California. 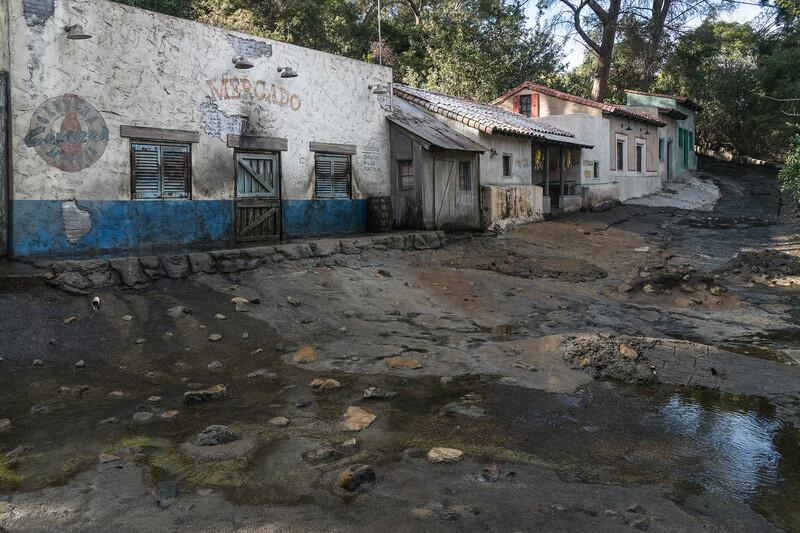 I liked this Mexican village and suspected something was up. The street was too wet for the lovely sunshine. I was right. We were suddenly in a rainstorm as the tour demonstrated how movies make artificial rain. Of course, too much rain too quickly can have disastrous results. All too soon the village was overwhelmed by a flash flood. A flash flood is heading straight for us! I took one shot and moved my camera just in time. I was sitting on the outside of the coach and got wet. This would be ideal in summer when one needs a refreshing splash. 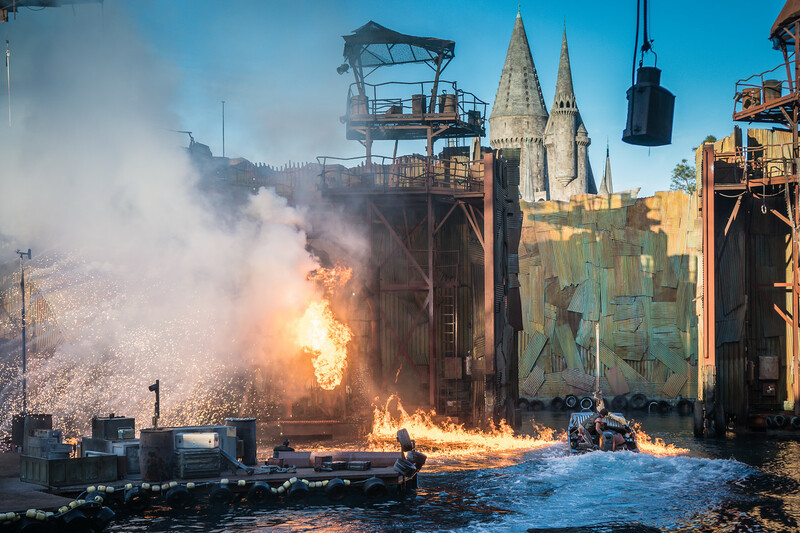 Our final event of the day was the WaterWorld show. That was lots of fun with great stunt work, fast-paced action, and a pyrotechnic climax. I would call this a not-to-be-missed attraction. And if you like to get wet, you’re in luck. There’s a huge soak zone! That’s the victorious good guys escaping through the gate on the right side of the image. I like happy endings. The park closes early in the winter, at 7:00 on the day of our visit. Tired but happy we strolled the City Walk back toward our car. I still had a long drive ahead before I would be home. To see more images from my visit to Universal Studios, please click here.